An adjustable rate mortgage (ARM), also sometimes referred to as a variable rate mortgage or a tracker mortgage is ideal for those who don't mind sacrificing consistency for fluctuation and possible, but not guaranteed, savings on your monthly bill. The ARM is known by its name because, unlike fixed rate mortgages, which promise you a stable interest rate no matter what the lending market looks like, the ARM is able to move up and down according to how the lender is experiencing the ever changing flux of the market. These ARMs are often regulated by the federal government who may put definitive caps on the variation that they can hit borrowers with. Though ARMs begin with a standard base rate, say 5% for example, they are allowed elbow room of about a 2% or 2.5% width. This means that for a 5% base rate, the ARM could shift down 2.5% to 2.5% one year, and up 2% to 7% the next year, simply based on the current market picture and how it is affecting the brokerage scene. When the banking market is in a phase of wild and unpredictable change, fixed rate mortgages may become hard to obtain and come with unreasonably high interest rates to compensate for the unreliability of the current system. During these times, ARMs may be the borrower's best bet. They serve to shift some of the inherent financial risk associated with a loan from the lender to the borrower. Of course, the borrower is in a place to either greatly benefit or really take a hit when signing onto an ARM contract. Thus, the borrower must be prepared for both scenarios. One way to mentally and financially prepare yourself for taking on the responsibility of an adjustable rate mortgage is to calculate an effective interest rate for the life term of your loan. This calculator will spit out this precise figure, referred to as an adjustable rate mortgage APR, given the details of the loan and how much it is permitted to fluctuate in either direction over a certain amount of years. ARMs will necessarily be tied to a number of fixed regulations about the adjustments that will be made, to provide a sense of structure and financial reassurance to the borrower and lender alike. There will be a certain amount of time necessitated before the first adjustment is possible (such as 12 months), as well as between adjustments (such as 6 months), indicating that changes can't happen too often. There will be a maximum adjustment percentage (such as 2.5%), so that the interest rate cannot suddenly jump from 5% to 10%, placing the buyer in peril. 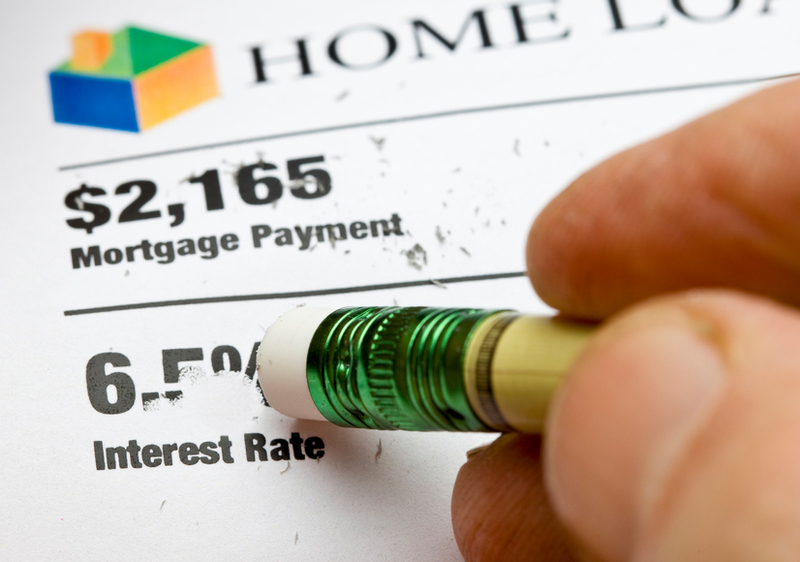 Closing costs of the mortgage also play an important part in the calculation of risk. At the mortgage closing, which is the last step before the loan is completely official and must begin being paid off by the borrower, percentage origination fees, points paid, and other miscellaneous charges may be brought into the game. Points represent a certain percentage of the total amount of the mortgage – in a mortgage with a $50,000 principal, two points would represent 2% of the lump sum, or $1000. These points are included up front in the payment scheme, and the more the borrower has, the lower their interest rate is bound to be.